Can't imagine my life without leggings, loved them in my teens and loved them even more during my pregnancy and after birth. Then the leggings became my go-to outfit errryday, becoming my love-hate essentials in my wardrobe. From owning around 5 or 6, nearly one for each day, I had to get rid! I now own a velvet pair, a denim pair (worn mainly indoors) and a basic black one meant for workouts, which never gets used. Love them or hate them I think we all need a pair or two in our wardrobe. 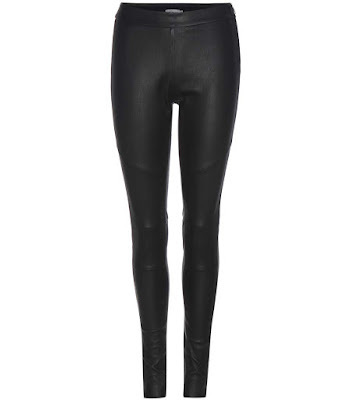 The number one essential being the leather leggings, which I am still yet to own. An easy item to dress for Winter, all you have to do is throw on a chunky knit jumper. Dress it up with a shirt or t-shirt and add some accessories. The high street has a good selection of leggings this season, plus if you're feeling trendy they also have stirrup leggings!? (I haven't owned one since my childhood). 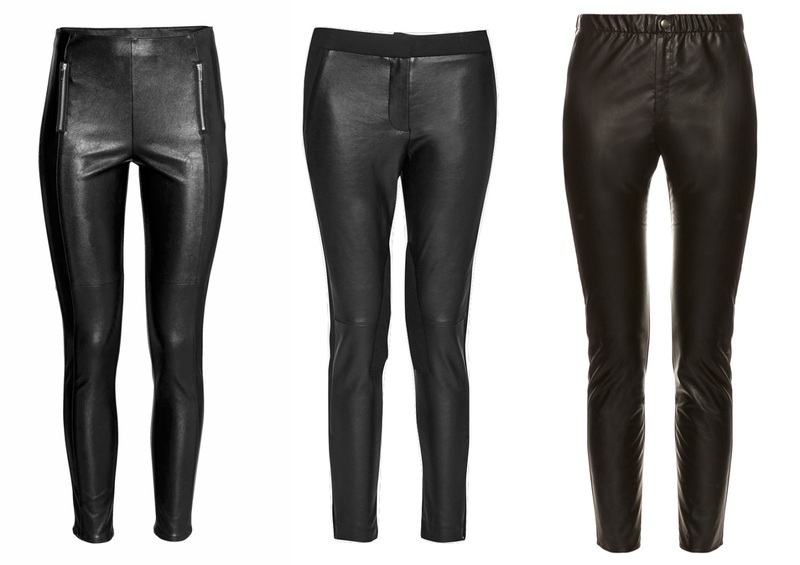 Obviously, if you want real leather, you will have to invest in a lot more like the below Calvin Klein one for £555. But I guess it is an investment piece that should last you a long time. 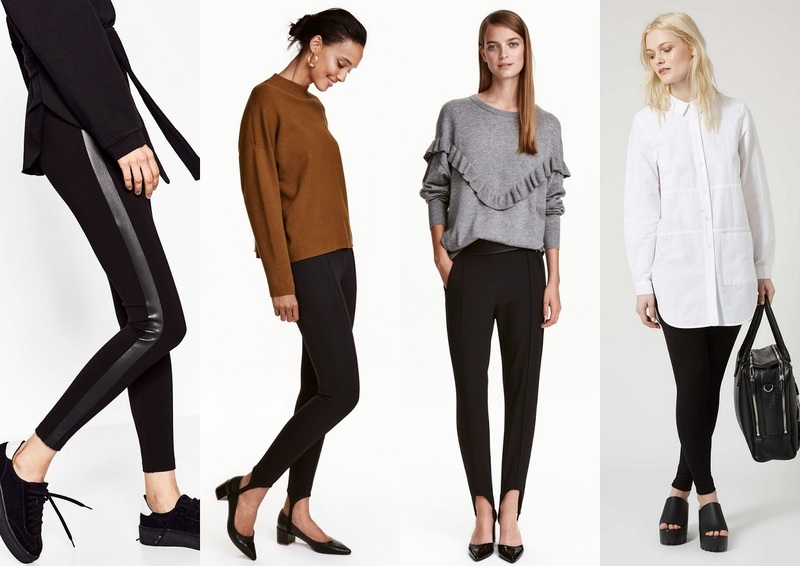 If you're looking for something similar to leggings but not too tight, I would go for the stirrup trousers from H&M (third one from above), similar to leggings but a tad looser and smarter. If it's some colour you want, go for red!